Our hammers, sears, and disconnectors are made from premium alloy steel plate stock. Each part is cut from the plate with a Computer Numeric Controlled Wire Electric Discharge Machine. This type of machining insures that each part is within +/- .001? of specification. The blank parts are then finish machined on a CNC machining center. This also insures that each finished part is within +/- .001? of the specification. Each part is then heat treated completely through to RC 50/53. The parts that the manufacturers are currently using are made either from investment cast or metal injection molded steel. 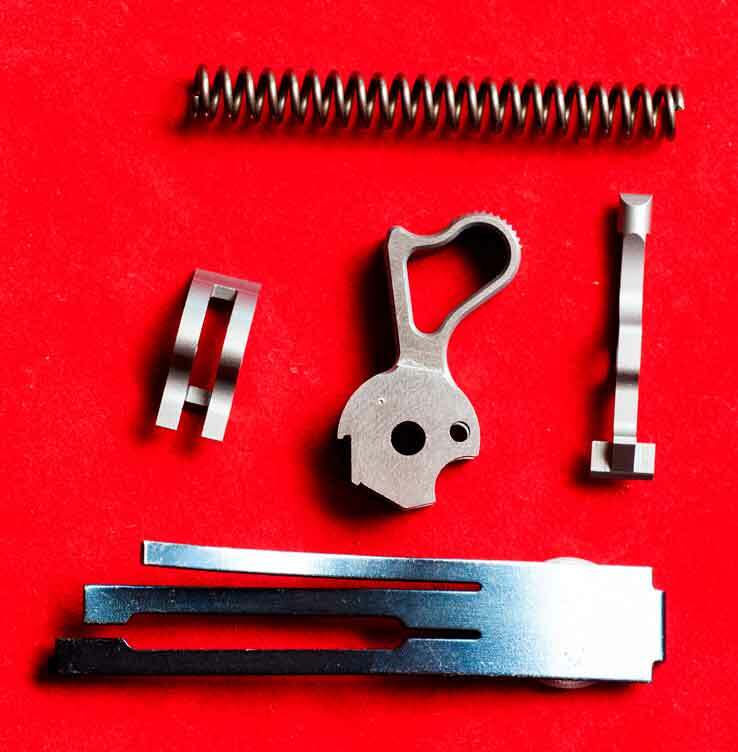 These types of manufactured parts are quite adequate for production handguns, and these parts can be manufactured at a very low cost. This helps keep the cost of the stock handgun down. For those hand-gunners who are satisfied with a production handgun these parts will probably last indefinitely. 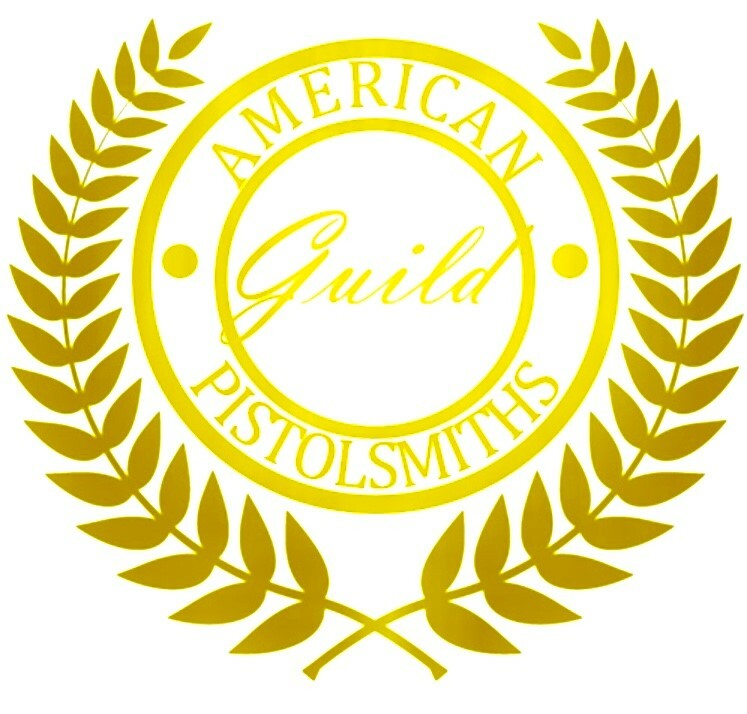 However, this type of part will not stand up to the finely fitted tolerances and high bearing loads placed on hammers, sears, and disconnectors when a proper trigger job is done, and, you would not be reading this catalogue if you were satisfied with a production handgun. These types of factory parts are not completely homogenous and have some slight voids in them. These voids will not allow the sear and hammer engaging surfaces to be highly polished and as slick as our parts are. The factory parts are usually heat treated to RC 42-48. This means that the factory parts will wear down much faster and this will definitely shorten the life of your trigger job. Sometimes the stock parts will only be hardened on the surface to a depth of only .005?. To try to stone this type of part will remove the hard surface and leave the soft core exposed. The soft core of case hardened parts will not stand up to a trigger job. I will guarantee any 4.5 lb. trigger pull set with our parts for 75,000 rounds or three years. I will guarantee 3.5lb. trigger pull set with our parts for 30,000 rounds or one year. This guarantee is good only if no one else has modified our parts, changed our springs, improper cleaning and lubrication, and the pistol has not been dropped or abused by improper handling. It has been my experience that if you drop one of our 5 piece trigger pull sets in your 1911 and the trigger pull is more than one lb. higher or lower than the advertised trigger pull weight for that set, your 1911 has other problems such as a binding trigger, improperly placed sear and hammer pin holes, a bent sear pin, sloppy hammer and sear pin holes, grip safety interference with the trigger, and a multitude of other possibilities. If you run into problems you need to have a professional sort it out. Please follow the safety checking instructions packed with each of our trigger pull sets.